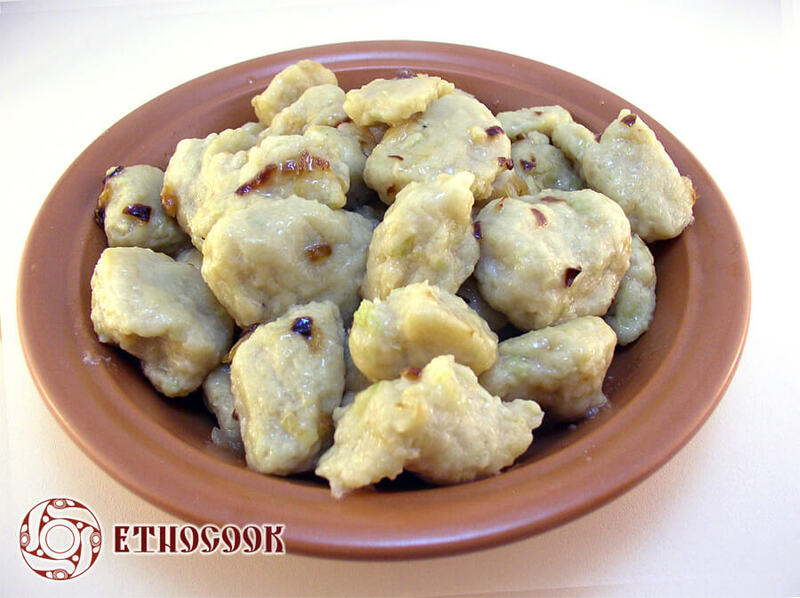 Traditional Ukrainian soft homemade dumplings Halushky are very easy to cook and tasty. 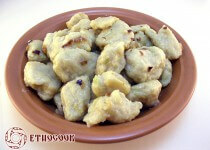 Actually that’s why they were popular as the everyday dish among our ancestors over centuries. 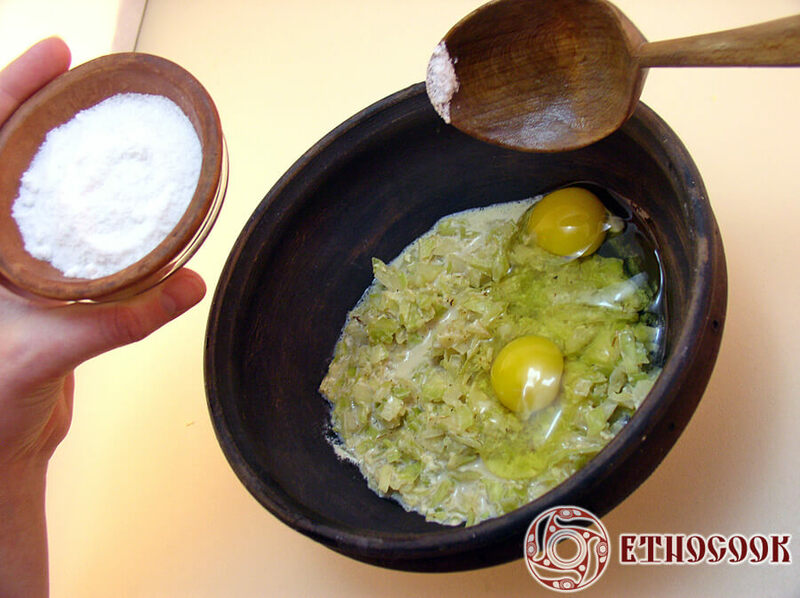 As varenyky were made for holidays and days-off Halushky on the contrary were prepared for supper when there was not so much time after long working day. 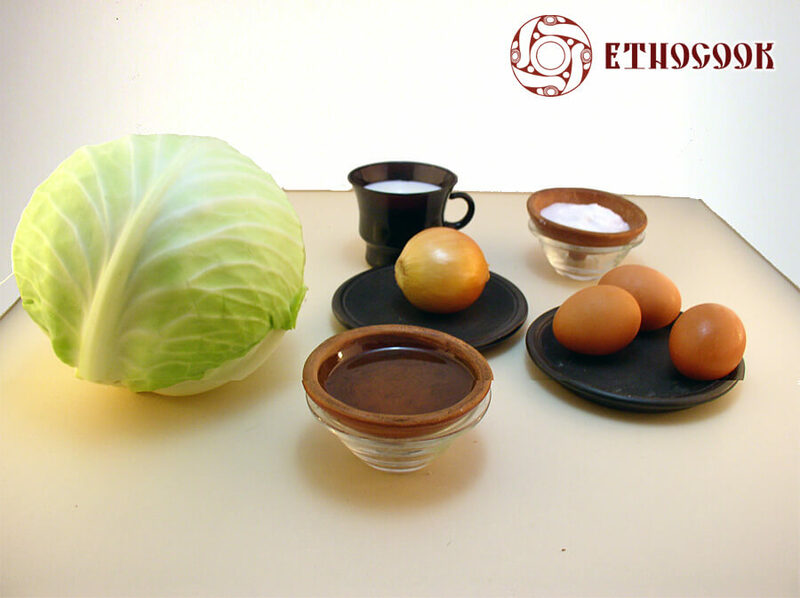 There are a lot of different types of the traditional recipe of Halushky. 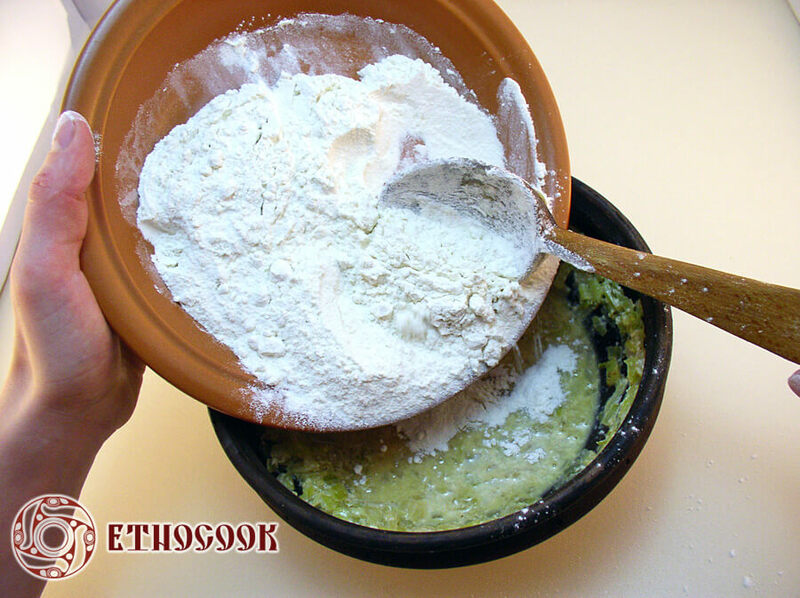 The most widespread is the simplest variant when they are made of flour, water and salt, boiled and served with vegetable oil or other fat. 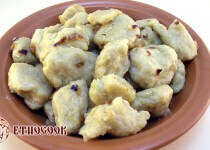 Very popular are Halushky made of cheese, vegetables, eggs with different types of flour. 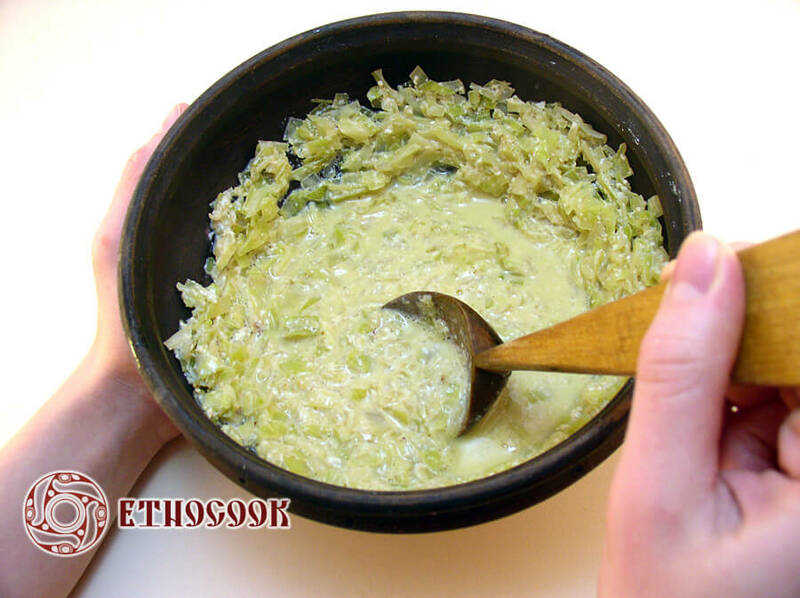 Cabbage wash, cut, remove the head of cabbage, finely chop, salt, add milk, butter and stew on low heat until softening ~ 30 min. 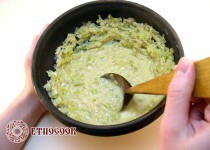 Add to stewed cabbage sifted flour in small portions, stirring all the time. 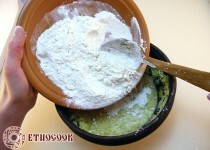 Take the pot out of heat and let it cool down to room temperature. Add the eggs and sugar thoroughly stirring. 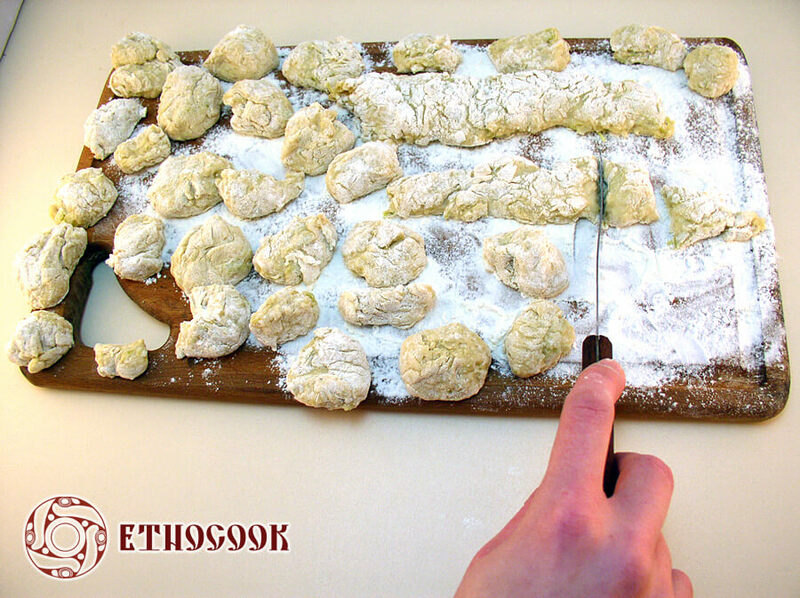 Put on the kitchen surface (desk or board) flour or breadcrumbs, forming elongated dough rollers ~ 2-3 cm in diameter, roll them dusted surface and cut with a sharp knife small dumplings ~ 1-1.5 cm wide. 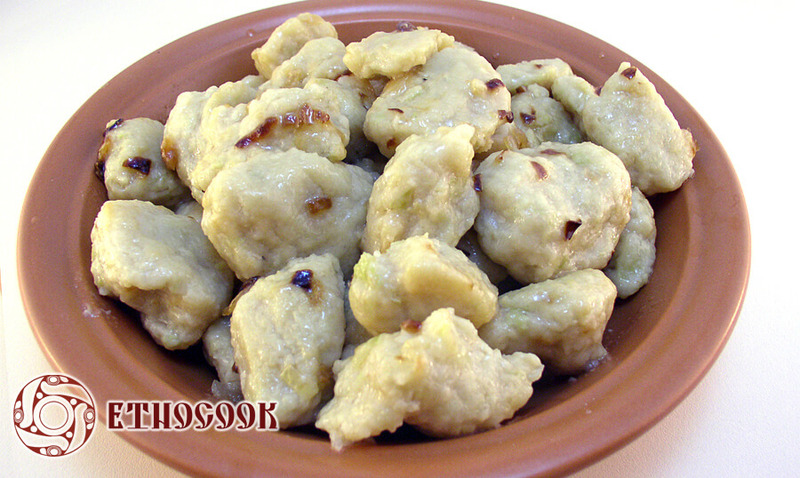 Cook the dumplings by small portions in a lot of boiling water over low heat for ~ 5-10 minutes. Put Halushky in a deep bowl, pour the onions fried in butter, add sour cream, greenery and serve hot.